Ranked consistently as highest in customer satisfaction by JD Power, Samsung appliances offer sleek design and cutting edge technology to provide customers with superior appliances. Known as a juggernaut in the tech industry, Samsung has also found a niche in home appliances, having begun mass production of washing machines and refrigerators in 1974. It is a leader in home appliance innovation, creating high-tech features that put them well ahead of the competition. Samsung appliances are made to last and perform for several years, ensuring customers that their new home appliances are both highly advanced and dependable. Backed by over 45 years of service, Samsung has become a name customers can trust in home appliances. Even though Samsung is a leader in the home appliance industry, they are known to experience their own share of problems, including latches on Samsung dishwashers breaking and condenser fan motors on refrigerators needing replacement. Warranties may even expire before repairs are needed. 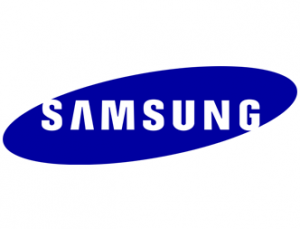 Fast Appliance Repair is proud to offer repairs on all Samsung home appliances. We repair Samsung microwaves, washers, dryers, cooktops, stoves, ovens, dishwashers, refrigerators, and more.